They’re called tastes buds, with an ‘s’ on the end for a reason. Yours is a varied palate, my friend. From Greek to Italian, to a classic burgers and fries…you love it all. So eat it all this winter! 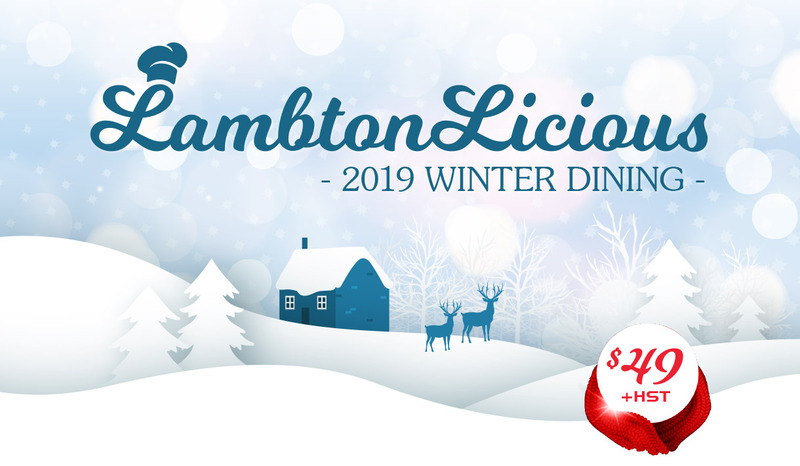 THE 2019 LAMBTONLICIOUS DINING BOOK IS HERE! Now on sale for just $49 (+ HST). You’ll get to visit 10 of Sarnia Lambton’s tastiest restaurants and enjoy one FREE entrée at each establishment valued up to $20, or $20 off the price of any entrée priced above and beyond that. Only a limited number are available, so pick up yours today at 1415 London Road. Books are valid from January 1, 2019 to April 30th, 2019. We accept cash, VISA, Mastercard & American Express! CLOSED Sundays & Saturdays. For more information please call: 519-542-5500. Name of the intended recipient will be printed on the LambtonLicious Winter Dining Book upon purchase. This Book will only be valid for that person and is non-transferable. LambtonLicious Winter Dining Book/Pages won’t be replaced if lost/stolen. Limit one Dining Book purchased per person. No difference given back for entrées less than $20. The Dining Book has no cash value. This Book cannot be used to purchase alcohol or drinks. You can only redeem pages for eat in/sit down meals. Not valid for take-out and can’t be used in conjunction with other sales/offers. Booklet holder is responsible for HST. Page must be presented intact and inside the Dining Book for redemption. Taking the pages out of this Dining Book will void your free/discounted entrée. AS A COURTESY, PLEASE PRESENT YOUR BOOK UPON ARRIVAL. VALID FROM JAN. 1st – APRIL 30th, 2019 NOT VALID FOR USE FEB. 14th (VALENTINE’S DAY).